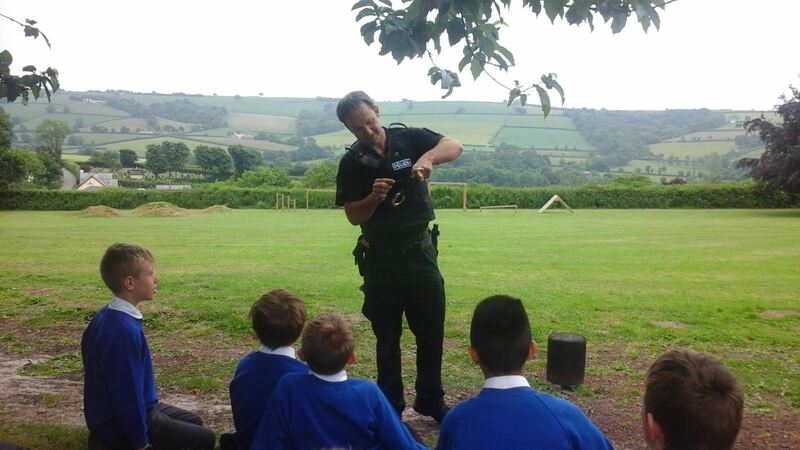 Our year 5 / 6 were kept in line by local police Constable James and police dog handler, Tom on Thursday. 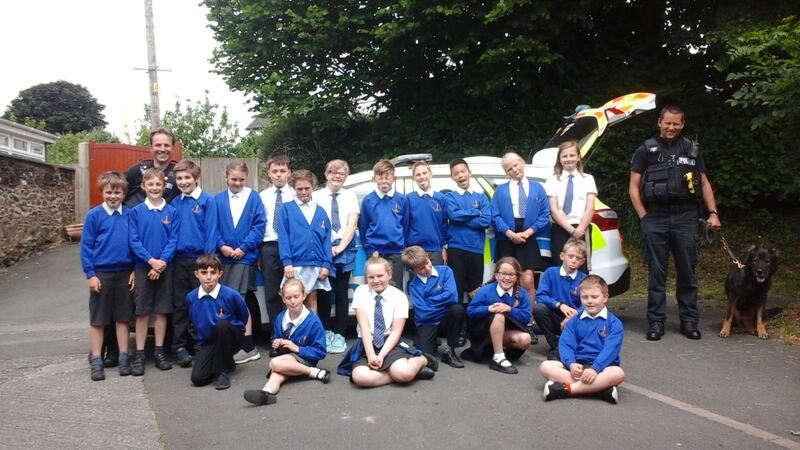 We are currently looking at the topic of crime and punishment and this was an excellent opportunity to learn about modern day policing methods. It was a thoroughly enjoyable and educational morning with our local police forces who delivered a fact filled, action packed morning. 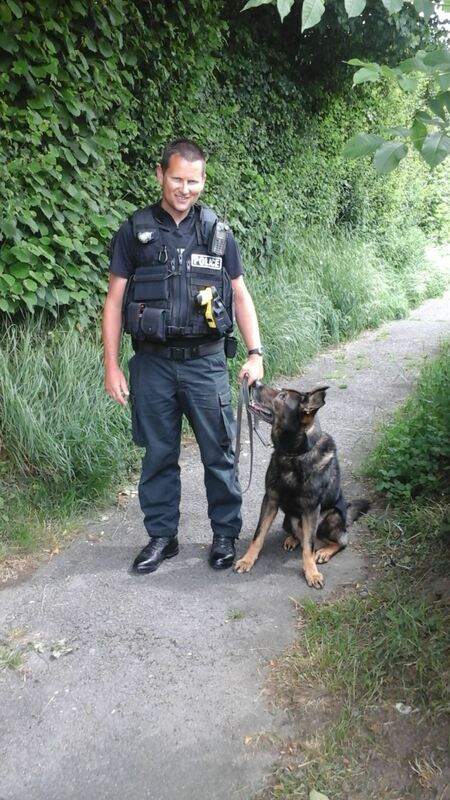 South Molton Police Constable James demonstrated his bravery as police dog, Bowser, demonstrated his skills of how he can take down a criminal out in the field. 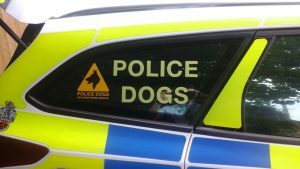 The dogs speed, power and obedience was phenomenal to witness and I am glad that it was PC James on the receiving end of the demonstration. Bowser continued to demonstrate his ability to seek out missing persons and lost items before we got to look around the police vehicles. The children were enthralled and enthusiastic all morning, asking great questions. 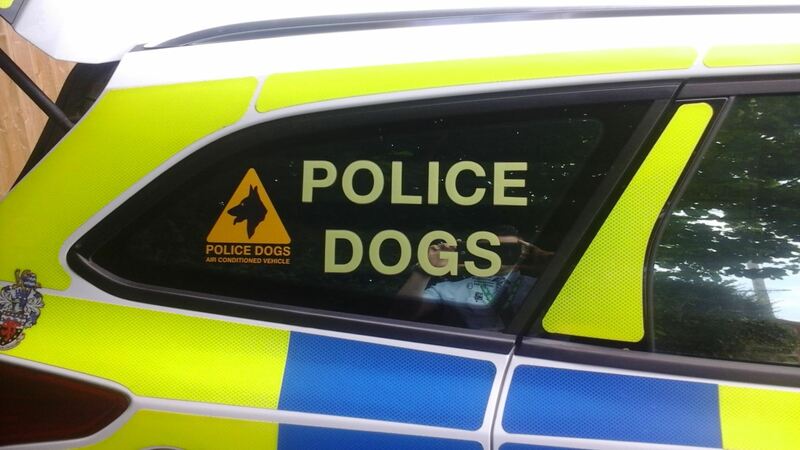 A huge thankyou to both officers for a fantastic visit. It was great to meet our local team of police who work tirelessly to protect us. This entry was posted in Uncategorized by gscandrett. Bookmark the permalink. Welcome to our school blog. Here you will find the latest news, updates and information on what has been happening at school.